I will begin my article by completely alienating my audience. *AHEM* The entirety of the Tenchi Muyo series is crap and has, in many cases, is a catalyst that has made anime, in my eyes, worse. Perhaps that is a bit too harsh. The original OVAs were kind of interesting, but to me, they don’t withstand the test of time. But I’m getting off track. I’ll have time to talk you down later, Masaki. A fine looking castlist for the very, very lonely. 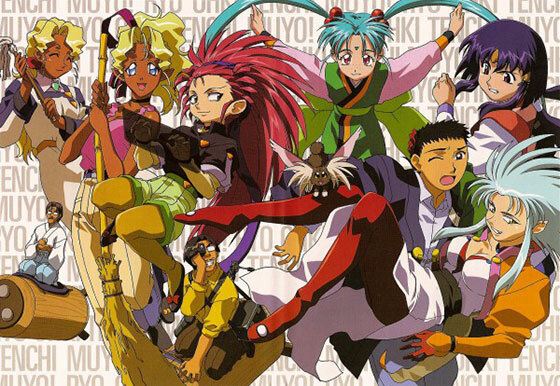 As of October 2014, the Tenchi Muyo franchise is getting another television show, topping out at total at four since 1995. There have been two rather lengthy OVA series (For OVA series, at least), three movies, two lengthy manga runs, a double fistful of video games and a hugely popular magical girl spin off series that has about three TV series by now. Yes, since Tenchi Muyo! 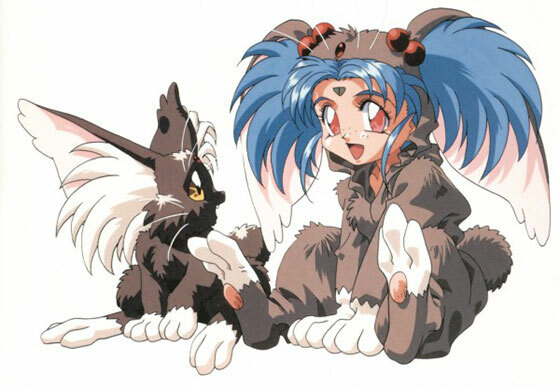 Ryo-Ohki was released in 1992 Tenchi has, in some way, been a part of the anime scene. But one year removed from that fateful release another series was put out. 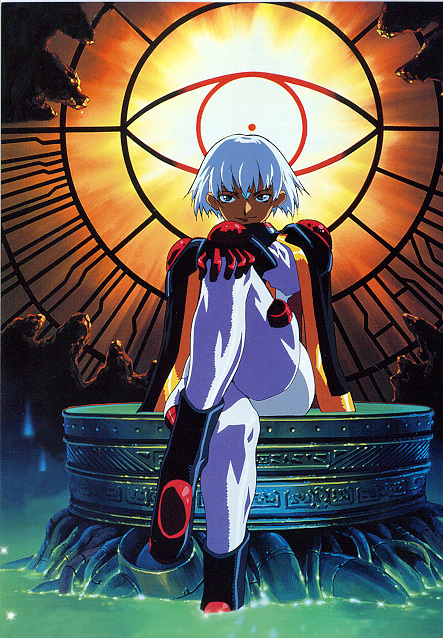 Also directed by Hiroki Hayashi, this series also held some fame during the mid to late 90s. It generated two OVAs, two TV series and a Sega Saturn visual novel. Oh, and an exclusive laserdisc only episode which will never see the light of day again. The rocket that was El-Hazard fizzled out between the years of 1995 and 1998. Yeah, it’s pretty much Star W… Why is the ‘youngest’ one in the Slave-Leia costume? Most people know the plot of Tenchi Muyo. Tenchi Masaki is your average Japanese high school kid until one day he discovers a space pirate lady in a cave named Ryoko. Such is her notoriety a gaggle of other alien ladies show up for one reason or another including a space princess (Ayeka) and her little sister (Sasami), a space detective (Mihoshi), Ryoko’s ‘mother’ who is a rather unhinged scientist (Washu), and a ‘cabbit’ that can turn into a spaceship known as Ryo-Ohki. Tenchi himself is forced in a love, let’s not say triangle, tug of war between Ryoko and Ayeka as the general fallout of galactic discovery sets in. 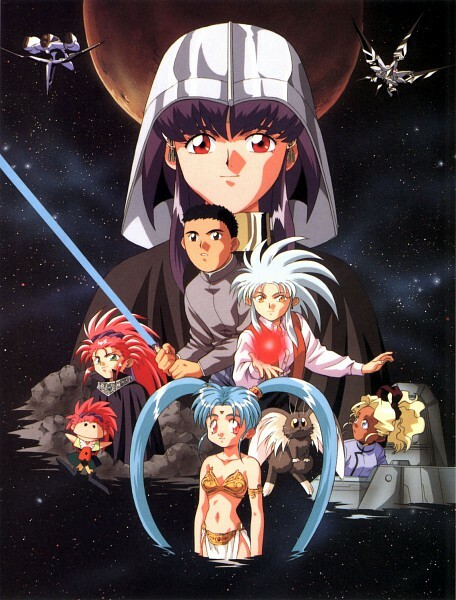 Plots included unlocking the secrets of the universe, the genetic makeup of the Jurai dynasty, the bath house/hot springs episode, and the lazy reveal that Tenchi isn’t just part alien, but the part he has is pretty much a nice little deus ex machina drive. The separate series fluctuate for the most part, but most of the series hinges on which alien holds the key to Tenchi’s heart, and how can normality be reestablished between episodes. New love interest turn up, a threat is cast onto one of the main cast, it repeats for 20-24 episodes depending on the series. Lots can be said about the series’ good points. There is a real sense of adventure that is hard to match when it comes to what the series really is: a harem anime. Perhaps that wasn’t the main focus at first, but when just about every female character makes mention how there is a romantic love and/or a reason to “mate” with him (Seriously, somewhere along the line they let the cute mascot animal become a humanoid for the purposes of boinking Tenchi. Yea, the furries did rejoice), there is the sneaking suspicion that the series may have been the catalyst to crap like Love Hina. No Tenchi fans, I will not let this go. But in the world of El-Hazard things are a little different. Rather than bring the females to earth our hero goes to the alternate world. Makoto Mizuhara is a promising young student who has indicted the school council president, Katzuhiko Jinnai, of corruption. Along with Jinnai’s sister, Nanami, the three were friends until this scandal. At the same time a strange artifact has been uncovered after a small earthquake, which in the middle of these corruption proceedings calls to Makoto. He opens it to reveal a mysterious woman who transports everyone still on the school grounds, including the awesomely drunken teacher Masamichi Fujisawa, to the world of El-Hazard. This world has a flair for Arabic styling in dress and architecture, as well as a swiftly designed history and conflict. Makoto and Fujisawa are teleported right as the princess Rune Venus is beset by the forces of the insectoid Bugrom. It is learned in short order that travelling to this world has given each traveler a power. Mr. Fujisawa’s power is super strength whenever he detoxes from his vices of alcohol and cigarettes. So after rescuing the princess we learn a bit about the world and it’s players, and that the alliance against the Bugrom are in dire straits ever since Rune Venus’ sister has gone missing. This missing sister is the only one who can go on a quest to bring together the three priestesses of Muldoon to summon the ultimate weapon, The Eye of God, to even the score against the invading Bugrom. A sister that looks remarkably like Makoto. Mmm-Da-daht, Da-Daht, Dude looks like an alternative universe lady! So it’s a tale of travelling adventure where our hero has to dress like a girl and pick up ladies. 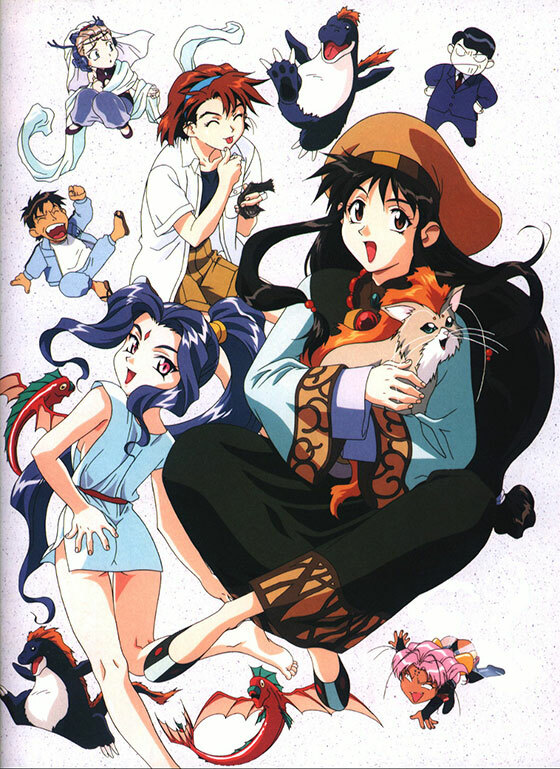 This seems like the perfect time to give off that same harem anime vibe that Tenchi gets entrenched in, but it doesn’t (At least, not until the TV series). Let’s run down the ladies to remind ourselves that “she don’t need no man to get it done, mmmm-hmmm”. Alielle Relryle- We meet this lady as she’s licking Makoto’s thigh. Wait for it… She thought it was the missing sister, because Makoto’s been in drag this whole time. So no, she doesn’t want Makoto, she wants whom he’s pretending to be. Nanami Jinnai- The younger sister of Katzuhiko and ye olde “Next door neighbor” of Makoto means that yes, yes there is a longing. However, it mostly takes form in a rivalry with one of the Muldoon priestesses. But alas, it is pretty apparent it’s just longing. Shayla-Shayla- Youngest of the Muldoon priestesses, she is the wielder of the lamp of fire and has a tough gal attitude. This is most apparent when Makoto is revealed to be a dude while at a hot spring… dammit. OK, be fair the amount of times spent in a hot spring is about 1/3 of an episode rather than being the focus of an entire one. For the most part doesn’t give a crap about Makoto until he saves her life, then she kind of has a thing but drops it because, hey it’s a little out of character. People can, and do, move on from unrequited love. If we learn any lesson, let it be that one. Afura Mann- Pfft. The names they gave these poor girls. Anyway, Afura Mann is the bookish sister of the three who really doesn’t get much characterization beyond that and her cool and playful attitude. She controls wind and… That’s about it. No real bond with our hero at all. Miz Mishtal- The eldest of the Muldoon sisters, controls water and has the hots for Mr. Fujisawa. Yes, even characters beyond the protagonist can find love in the wonderful world of El-Hazard. Still not letting it go. And no, I don’t care if she’s 700 in earth years. Princess Rune Venus- In the original OVA Makoto is nothing more than a means to an end, to make sure the kingdom can survive the Bugrom advance. Now in the TV series… I’ll talk about that soon. Princess Fatora Venus- Mostly kidnapped in the series, when she shows up in the second she’s pretty much a self-absorbed individual. All she seems to want to do is get into other ladies pants, so Makoto’s off the menu. Thankfully she doesn’t show up in the TV series. Ifurita- The fabled “Demon Goddess” which is one of the key components to bringing forth the Eye of God. I don’t want to spoil anything, but ultimately she’s the series big bad for the most part and pretty much wants the destruction of all life. Ura- Ura is a cat, which on El-Hazard can be used as battle armor. Which as a concept is funny, but it’s rather loyal to Makoto, saving his life several times. However, it might be a boy. Either way it never turned into a humanoid form for the purposes of mating with Makoto. Advantage, El-Hazard. With most of the OVA series, EL-Hazard is all about the adventure rather than the love polyhedrons. As Tenchi grew older it had to compete with the “Girl Buffet” so many anime romantic comedies turned into. The term “Harem anime” stopped being a punchline and started being a thing. We let shows like Ranma 1/2 get away with it because ultimately all but one love was unrequited. 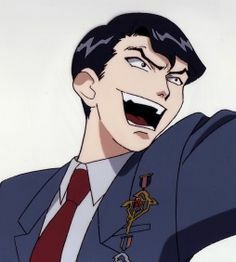 But to me, the Tenchi series kept piling on fetishes and more ladies to justify itself in a fandom gone lovesick. That isn’t to say El-Hazard is an innocent in all of this. The first television series ran from late 1995 to mid-1996, and it was a reboot of the series before rebooting series was cool. El-Hazard: The Wanderers was 24 episodes of, admittedly, a kind of dumbed down version of the original story. The premise is the same, Makoto, Nanami, Jinnai and Mr. Fujisawa all get transported to El-Hazard, but this time after a scientific accident caused by Makoto rather than discovering an ancient artifact. This removes the casual loop aspect of the OVA’s storyline that made it just that much cleverer to me. Meanwhile the cast roster is trimmed, and other characters personalities are changed to fit a more love triangle, erm, angle. Princess Rune Venus, Nanami, Shayla-Shayla and a few others are given that friendly rivalry that stems from just about every anime until it was more desirable to have stupidly unfriendly ones. And from there it was a second OVA series which was kind of a downer from the first, while ruining some of the themes and imagery from the original. 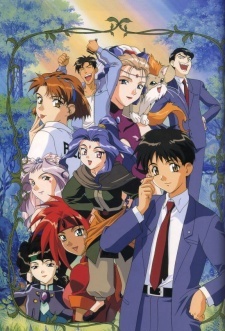 Then the second TV series which sent the principal cast from the OVA series to yet another world. Finally the aforementioned one shot OVA that was only available on a laserdisc. Well, OK… also on a short lived box set that only contained the canonical OVAs from the first series. So ended the short life of El-Hazard. Killed off before the turn of the century. And I guess that’s kind of for the better. 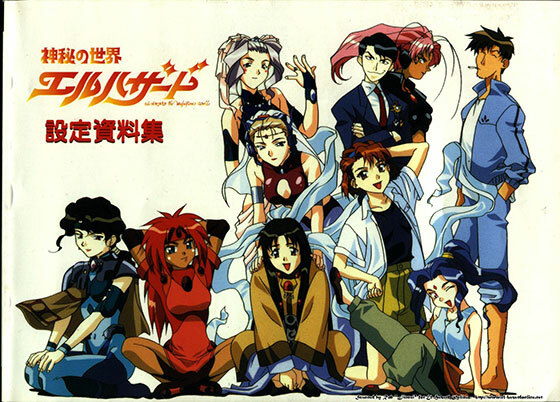 As I saw what happened to the Tenchi Muyo catalog of works, I can only wonder how they could have ruined the principal storytelling that made El-Hazard such a wonderful, well enriched setting it was. The cracks were already in place to become full on harem anime girl buffet, but it was washed away before it got that bad. I highly recommend seeing this series, if only to wonder what might have been. Jurai 2016! Never settle for the lesser evil! Dean The Adequate is Juraian princess through a mismanagement of his family tree, stock portfolio, and clear judgment after a bottle of ‘Goldschlager’. Until the paperwork is cleared, he’s been saddled with his own harem of alien lovelies. He has put them to work in his basement making bootleg copies of ‘Ani-Mayhem’ cards just in case they, in his words, “come back”.